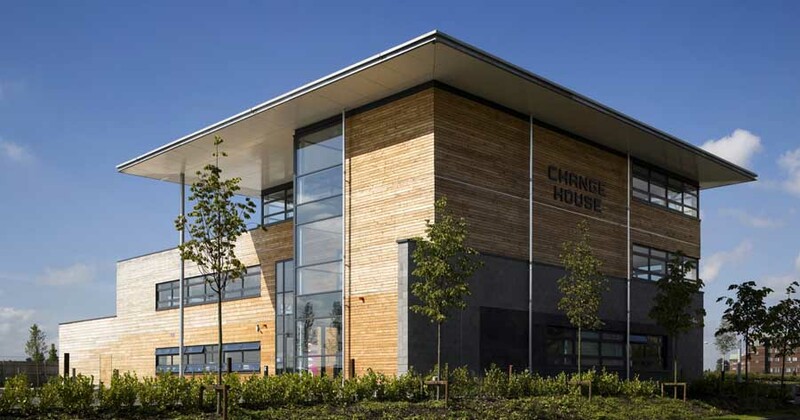 A new two-storey managed business centre operated by Greater Easterhouse Managed (GEM) Workspaces, the building has two floors of lettable office space incorporating communal and ancillary facilities including meeting rooms, a conference suite and a small café with seating. 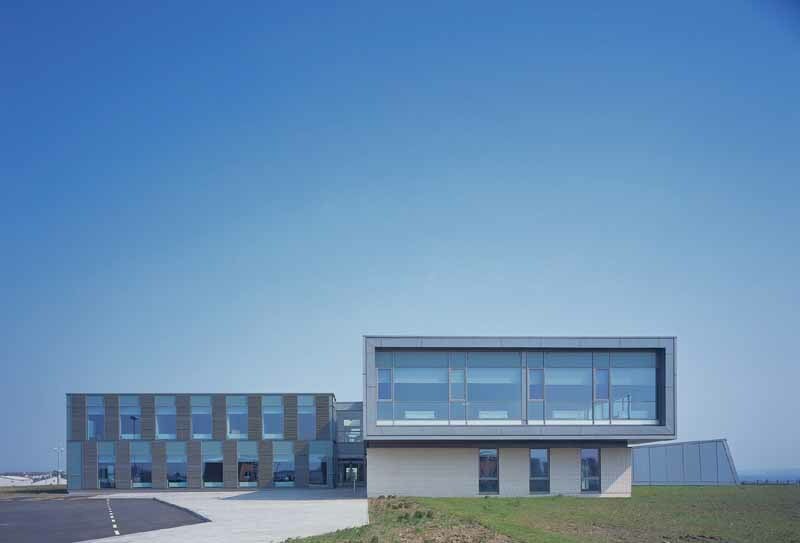 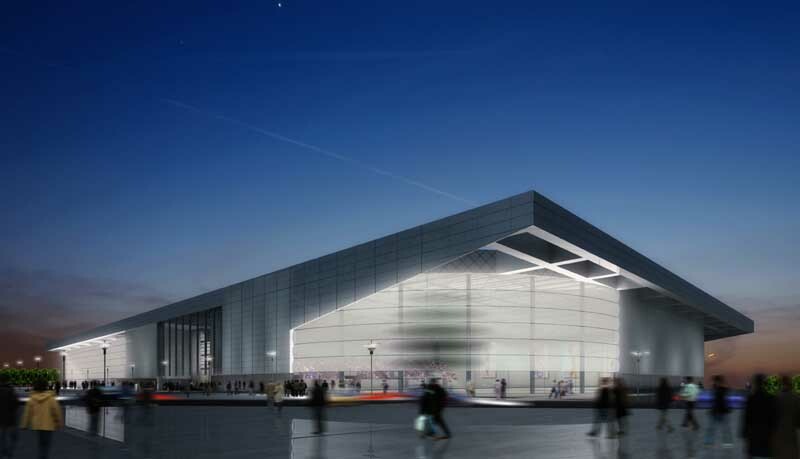 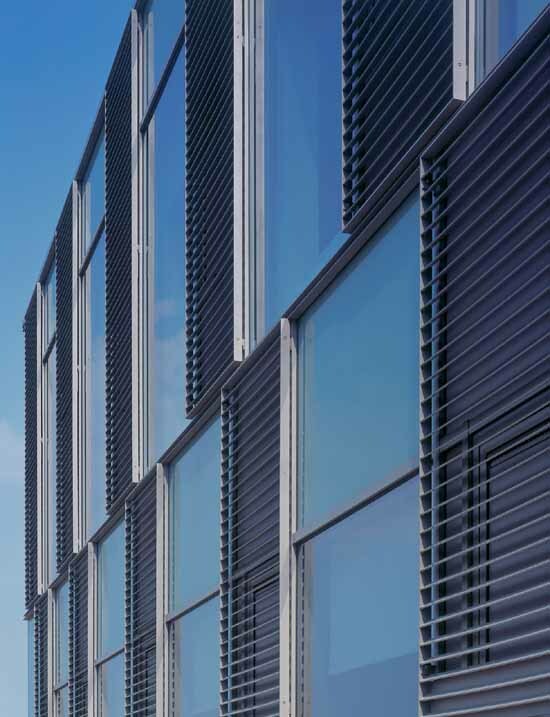 The building form is divided into 3 main components, a glazed block centred around a double height atrium, a brick and aluminium clad wing containing the majority of office accommodation, and a single storey conference block clad in vertical aluminium rainscreen panelling. 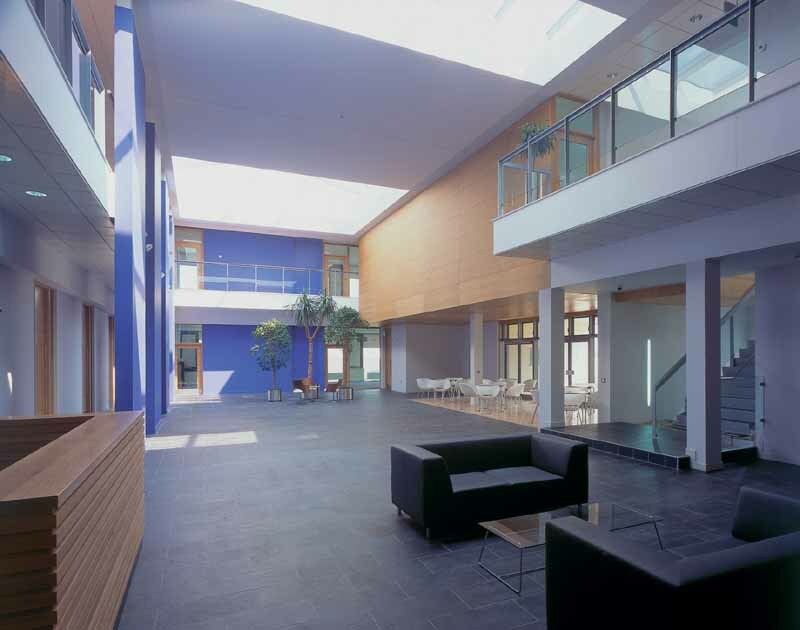 The large rooflit atrium, looking onto the cafe space and through to a walled garden, has been designed to foster a new business community, and through the placement of core shared facilities encourage interaction amongst the different users.